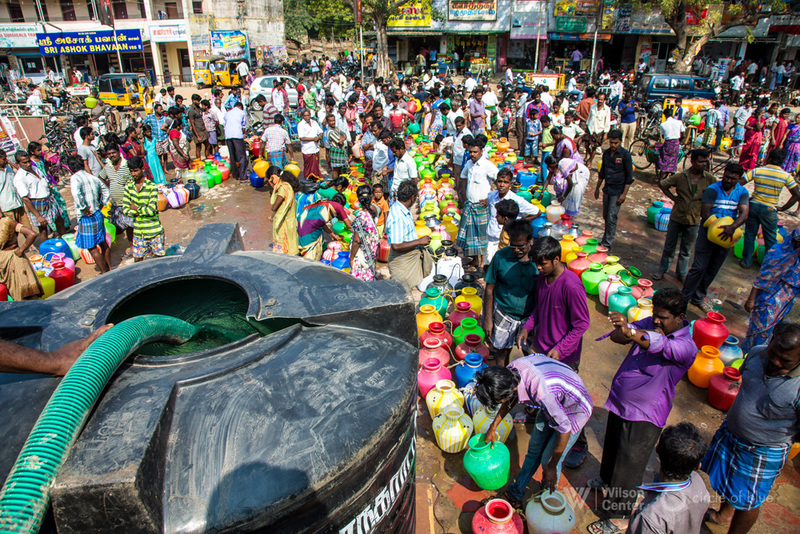 The fifth in a series of reports by Circle of Blue and the Wilson Center on the global implications of water, energy, and food challenges in the south Indian state of Tamil Nadu. 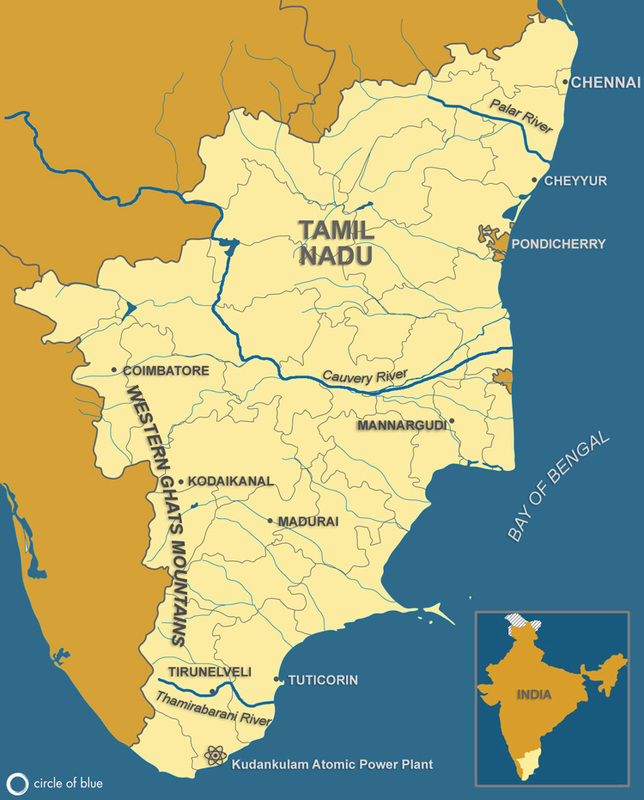 CHENNAI, India – T. Rajan tried all manner of entrepreneurial enterprises. He sold scrap paper and cardboard to recyclers. He built a street corner chai and cigarette cart, and repaired truck and bus tires. He started an office cleaning service for high-tech companies in the growing IT sector south of the city center. None of these delivered the financial returns and workday flexibility of selling clear, sky blue, 20-liter water “cans” in Chennai’s immense bottled water industry. The 32-year-old business owner, stocky and muscled, fits the enterprise. 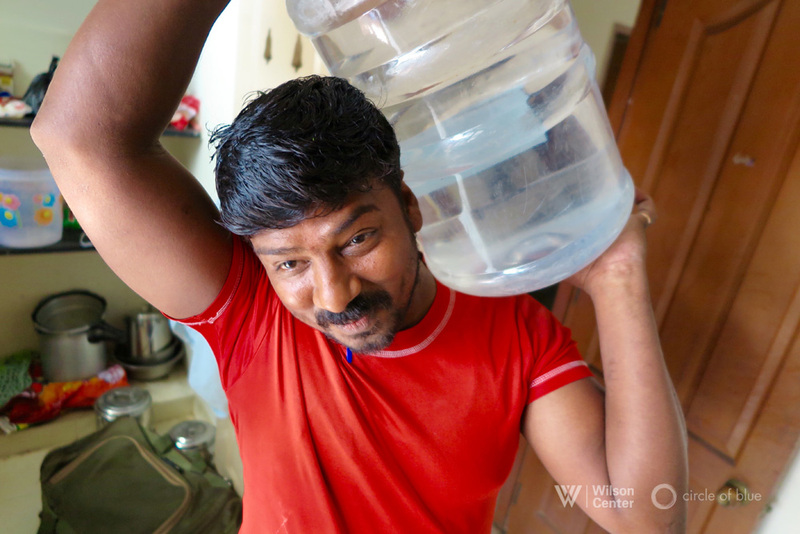 Every day, Rajan explained through an interpreter, he and a partner purchase some 200, 20-liter water cans from one of the metropolitan region’s independent water bottlers. He buys the cans for 20 rupees each, about 30 cents, and sells them for 35 to 45 rupees each (52-68 cents). He can load 50 to 60 cans at a time on his diesel delivery truck, which is smaller than a compact American pickup. The Tamil Nadu Packaged Drinking Water Association, the industry’s principal trade group, counts 1,200 members, perhaps a third of which operate in Chennai. According to estimates by distributors and bottlers interviewed for this report, 10,000 people may be employed by 400 to 600 bottling companies that market over 100 water brands in Chennai and the metropolitan region. As many as 15,000 people deliver 20 million liters of canned water daily. Thousands more drive tanker trucks that supply bottlers. Other facets of the industry are the suppliers and recyclers of water cans. Taken as a whole, Chennai’s water bottling sector could have revenues in excess of $180 million annually. In some instances, over-pumping has stirred farmers to riot, as groundwater levels for irrigation decline. In many other instances, farmers curtail agricultural operations in favor of selling well water to tanker truck drivers who transport their 12,000-liter loads to bottlers. 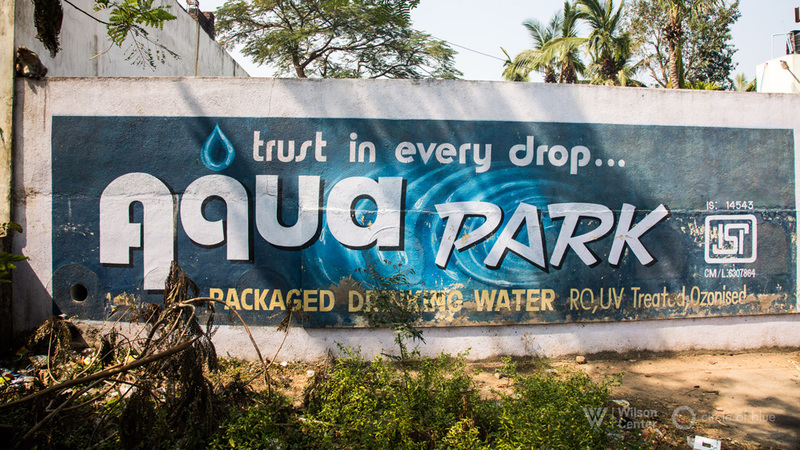 That principle is in full view in Mamandun, a farming village, where the company Aqua Park pumps clean water from two wells for use in an immaculate bottling plant south of Chennai. The business employs 15 on-site staff, including a microbiologist and a chemist to ensure the plant and its products pass inspections by city and state food safety agencies. Devi Vasudevan, the young woman who manages the plant, said the bottling operations started in 1998 and have grown to fit the needs of a suburban market south of the city. Aqua Park’s 20 drivers transport 2,000, 20-liter cans of water daily to businesses and homeowners, she said. Annual revenue exceeds 20 million rupees ($300,000). Not far away, in another segment of the bottling industry, 33-year-old Mahendran explains that a sizable share of his family’s income comes from selling well water from an informal depot they established on their farm. As many as 20 water trucks fill their 12,000-liter tanks each day outside the city, he said. More routinely it’s 10 or fewer. Sources: Pacific Institute, The Hindu. Photo Credits: Used with permission courtesy of Keith Schneider and Dhruv Malhotra/Circle of Blue. Stories like this get my engineering wheels working. Providing safe, cheap water in large quantities has energy implications. It takes energy to pump groundwater, and transport it. It takes energy to manufacture plastic containers. And it takes energy to purify the water. A lot of this energy could be provided by the sun. Unlike electricity, this energy does not need to operate continuously. Heat a large reservoir of water in the sun to nearly boiling, and keep it there (by use of insulation). This provides a heat source for processing other water. Make another large reservoir of water that is cooled by evaporation at night. Process drinking water by heating, evaporation, and condensation through this system. It is simple, passive, and cheap. And scalable. The key to these kind of solutions is to realize that places like India are really energy-rich — solar energy — and with energy and some engineering, abundant water can be made.